Successfully Added Teclast Master T10 Tablet PC -Android 7.0, Hexa Core CPU, 4GB RAM, Fingerprint Sensor, 10.1 Inch Display, Wi-Fi, 64GB Memory to your Shopping Cart. The tablet offers 10.1 inches screen with 2560 x 1600 full HD display that provides clear and sharp graphics. It has Bluetooth and Wi-Fi support that makes connectivity easy. Hexa Core processor delivers a powerful performance with outstanding experience. The 13-megapixel front camera allows high-quality video chatting and photos. The amazing Master T10 tablet PC by Teclast was designed keeping in mind the requirements of a tech-savvy user. The MTK8176 Hexa Core processor and 4GB of RAM combine to offer some serious processing power which is enough to ensure lag-free multitasking. The processor is strong to support heavy games without compromising the graphics. It offers an exceptional user experience. The Master tablet has Wi-Fi 802.11 b / g / n that provides you superfast wireless connection. You can browse the internet, stream videos, download torrents and files quickly. Sharing your content with others is made easy through Bluetooth support. You can share plenty of pictures, files, videos, and documents within anyone in a specific range. This Tablet PC has a 10.1 inches full HD screen with wonderful 2650 x 1600 resolution. You can enjoy sharp and vibrant visuals allowing to watch your favorite videos in better graphics. This tablet enables you to play games in highest graphics, so you can experience gaming world in a new way. It has a front camera of 13 megapixels. This enables you to take crisp selfies and have a face-to-face chat with your family and friends. On the other hand, the rear camera of 8 megapixel lets you capture moments and produce vivid pictures. The Master Tablet PC has a long-lasting battery time that can last for 4 hours when used consistently. The battery size of this tablet is 8100 mAh that will last for days on a single charge. The standby time of the battery is 48 hours while the charging time is 3 hours. Moreover, the interface of the tablet is designed to convenient for the users. There is a microSD card slot that enables you to expand the memory capacity up to 128 GB. The tablet has a Micro USB port, 3.5MM audio cable port, and an HDMI port. You can now enjoy movies, TV shows, and videos on a bigger screen thanks to the HDMI slot. You can even take advantage of the side by side screen. The Teclast Master T10 Tablet PC comes with a 12 months warranty. 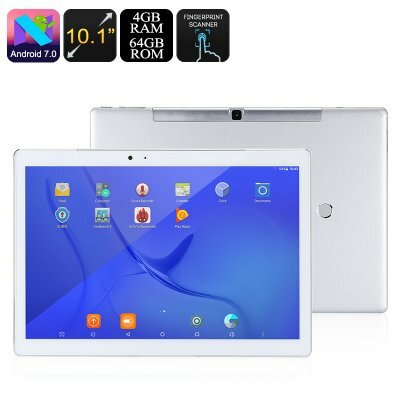 Brought to you by the leader in electronic devices as well as wholesale Android tablet computers..